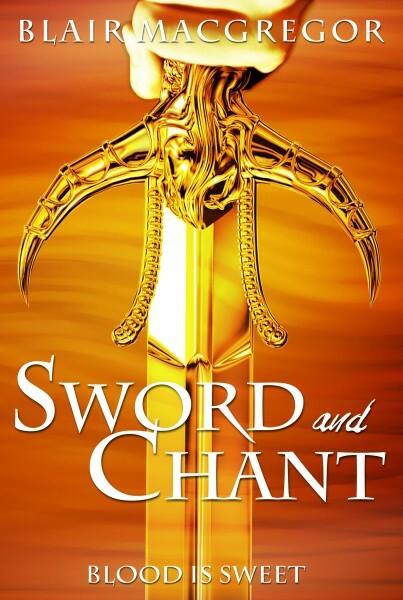 Sword and Chant's New Cover! This spectacular new design comes to you from the talented L. Blankenship--a great writer who is also a talented designer. Not only did she give me a beautiful new cover, she did it on a tight deadline. Why did I need a new cover so quickly? Well... I can't make the official announcement until Tuesday, but I couldn't keep the cover to myself any longer! Holy crom, that is awesome!!!! Isn't it, though? I couldn't be more pleased. Gorgeous, Blair! Kudos to L.! She did a fantastic cover!!! I just can't get over how lovely the cover is. The reactions have been universally, "Wow!"